False eyelashes may not be in one's everyday makeup routines but it can't be denied that false eyelashes could boost up our makeup. Me, myself, is a huge addict of false eyelashes even though I only use it on special occasions. I love to try various designs of false eyelashes so I was very happy when Trinz offered me to try some of their horse hair and mink hair false eyelashes, crafted by hand and cruelty-free. NessyChoice Horse and Mink hair products are 100% handmade, hypo-allergenic and made of finest quality horse hair and mink. 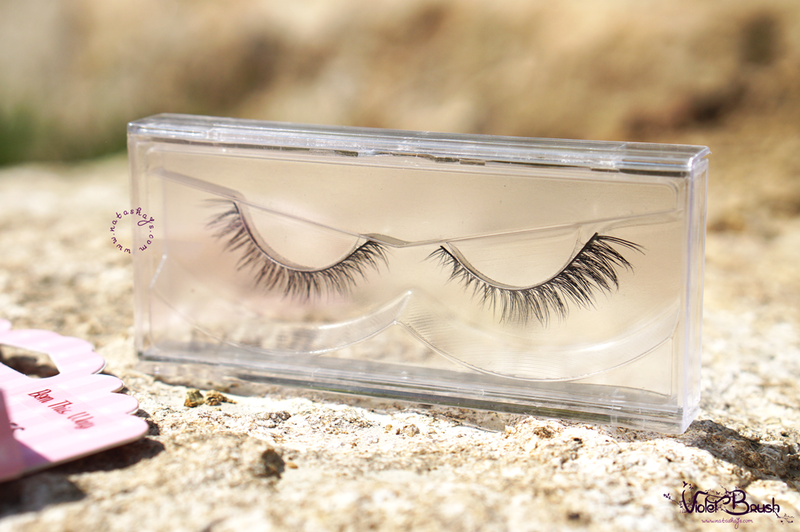 Handmade in Taiwan, the production process is cruelty free as the lashes are obtained by gently brushing live animals. This handcrafted procedure ensures that the quality of the harvested hair and fur are preserved. 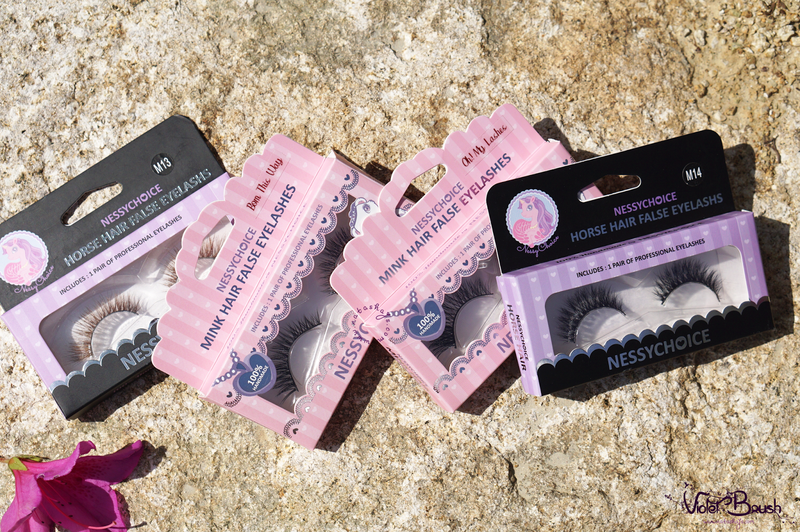 All lashes can be used up to 25 times*. 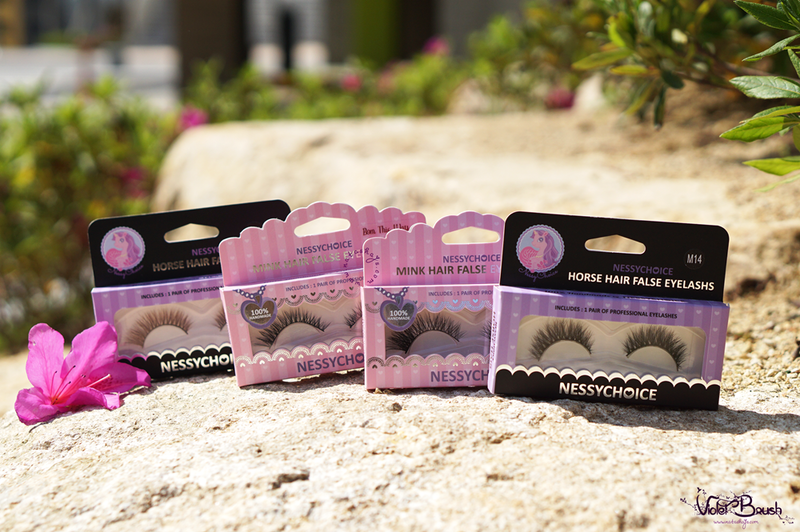 The horse lashes are made with 100% genuine horse hair. All hair are trimmed and sterilized. The strip/band is a mix of cotton and nylon to ensure a flexible and comfortable fit. Horse lashes are almost weightless. They give a natural, subtle, delicate and feathery look. 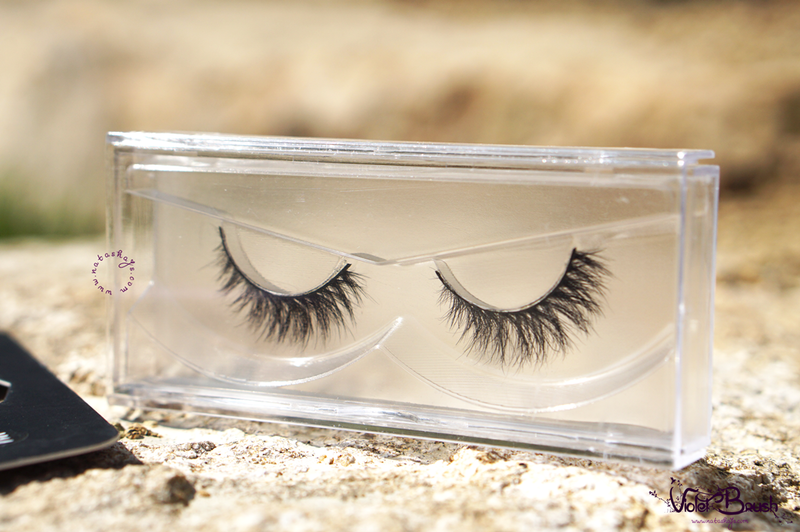 The mink lashes are made with 100% squirrel fur. 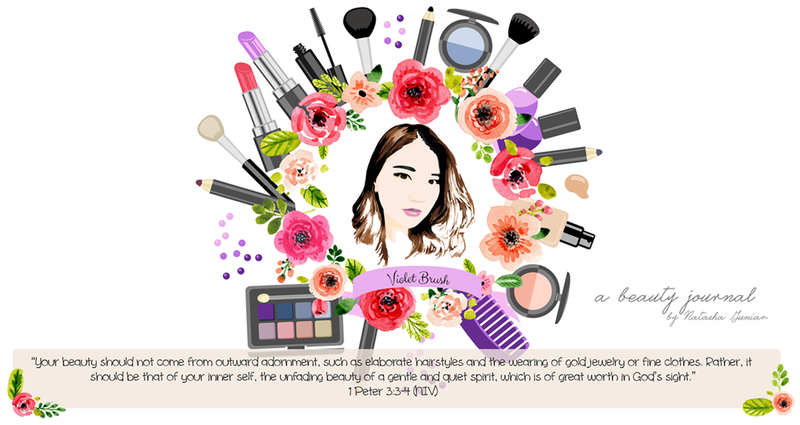 They are designed by Onnbaby, a beauty blogger from Thailand. The strip/band is a mix of cotton and nylon to ensure a flexible and comfortable fit. 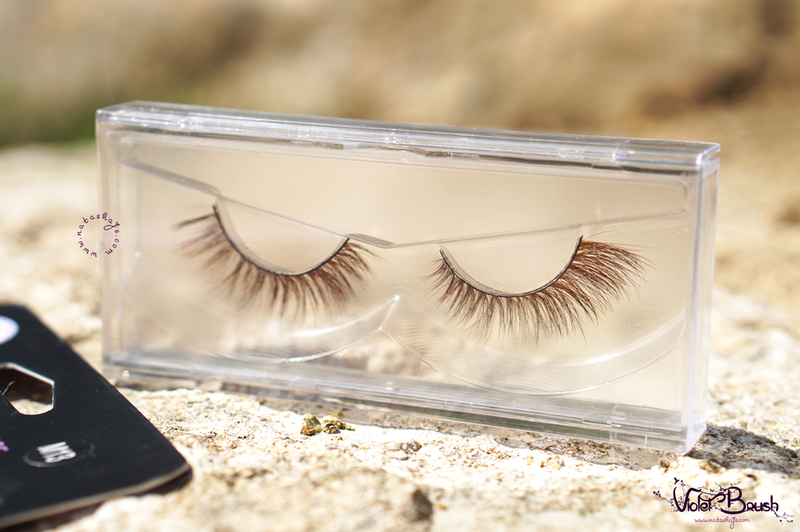 The lashes are lightweight, full and lustre, giving a more dramatic and wispy look. To use: gently flex band, align band with natural lash line to check fit (trim the outer end with scissors if necessary), apply a thin line of lash adhesive along band and wait for 30 seconds until adhesive becomes tacky, then place band against eyelid as close to lash roots as possible, gently press corners and along the band to secure. Out of the four designs I tried, M13 has the most natural design with its longer end However, its brown color makes it not as natural as it could be. The brown color, on the other hand, does make your eyes pop. You might want to use this on special occasions but I don't consider using this on a daily basis. I would really love M13 if the brown color is darker, though. If M13 has longer end, M14 has longer center which opens up your eyes. I don't really know why but in terms of design, my favorite would be M14. It doesn't look too much but still makes some difference to your eyes. Similar to M13, Oh! My Lashes has longer but thicker end. Oh! 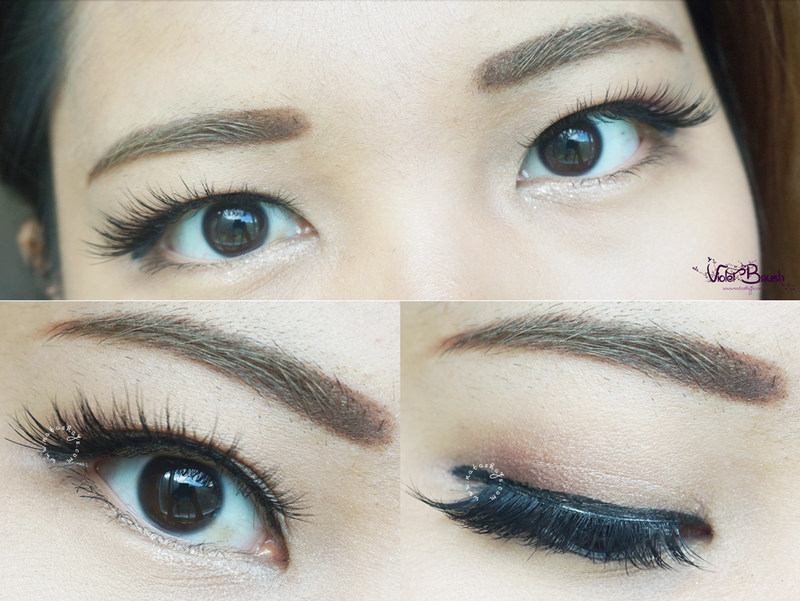 My Lashes makes my eyes look longer because of its thicker end. I think Oh! 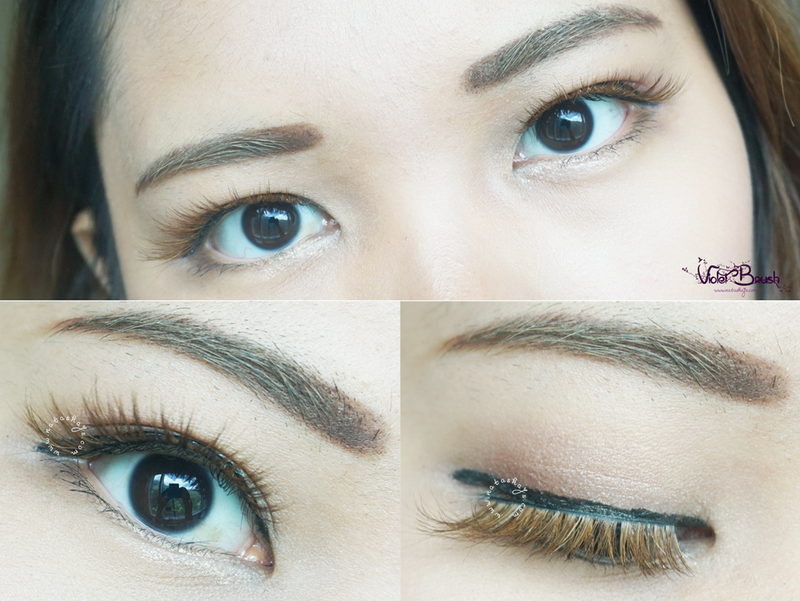 My Lashes is the most suitable for parties compared to the other designs. Born This Way has the second most natural design, according to my opinion. It makes your lashes look fuller and longer but still natural enough without making your lashes look too much. Born This Way could be said as my second favorite design after M14. Comparing both horse hair and mink hair false eyelashes, horse hair has softer strands but at the same time, more fragile. While on the other hand, mink hair is sturdier. It's a given that horse hair is more lightweight than mink hair on the eyes. Although I could say that both are pretty lightweight on the eyes, it still feels like you wear something on your eyes. Design-wise, I love the designs! They open up my eyes without looking too much. 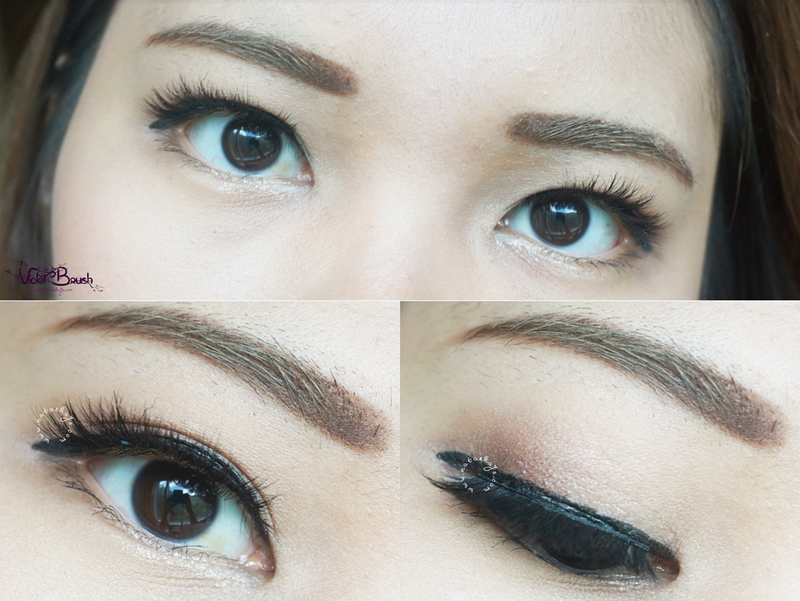 One thing though, the lash band is way too long for my Asian eyes. I also love the packaging. Unlike other false eyelashes, Trinz NessyChoice false eyelashes are packed in a hard case box, adding a feel of luxuriousness. nath sekarang alisnya makin tebel ya.